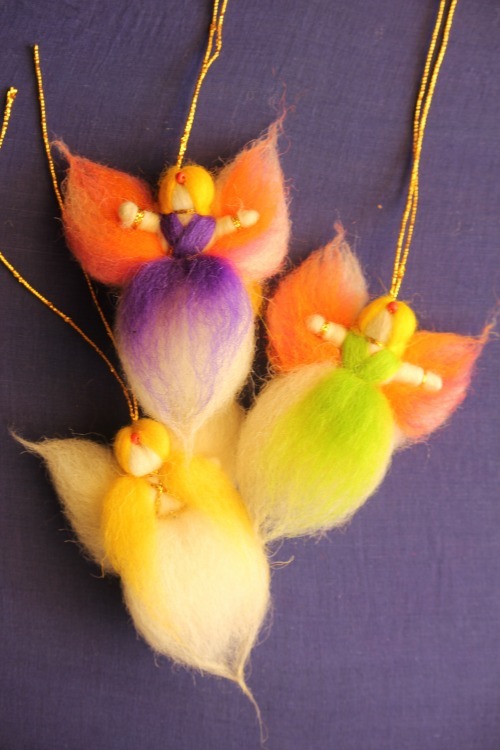 These enchanting gift packs come in groups of five small or three larger angels. Enjoy choosing your own assortment of colours to create unique presents or decorations, ideal for the Christmas season. Angels are made from 100% sheep’s wool.